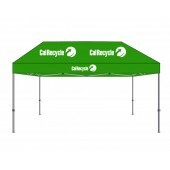 Our custom canopies are ideal for sports events, outdoor events, trade shows or recreational use - promotions, parties, picnics, flea markets etc. 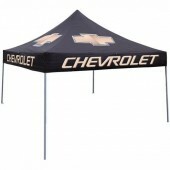 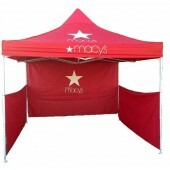 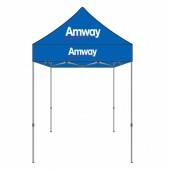 With our custom canopies or logo canopies, you can customize screen printed graphics or logos on the top and sides. 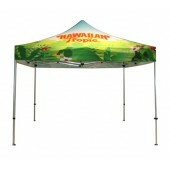 We use colorful graphics in our canopies for prominent and professional display. 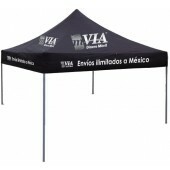 Our custom canopies are durable, rust resistant and UV protected.